Colored eggs secures the Easter Egger’s (EE) position as the most popular chicken in America. One flock can give an EE farmer blue, green, creamy, or or even pink eggs. The fowl come in as many colors as their eggs. Of course, kids love them. A small bird, the Easter Egger tolerates heat well. In the colder months their small pea comb helps them avoid the frostbite common to larger combed breeds. Easter Eggers do well in confinement. The hens seldom go broody. Their lack of pedigree and their personality attracts a cult like following. The Easter Egger club in America has as their motto, “Thumbing our Noses at the A.P.A. Since 1976.” Few fowl have a fan base as devoted. Easter Eggers do well in a backyard environment. Quiet and docile, they seamlessly blend into a typical suburban neighborhood. Owners can easily handle an EE. They have a friendly, calm temperament. Although seldom broody, the hens nevertheless make good mothers to their chicks. Roosters take equally good care of the hens. The chicks manifest intelligent curiosity in their surroundings and show little fear or flightiness. 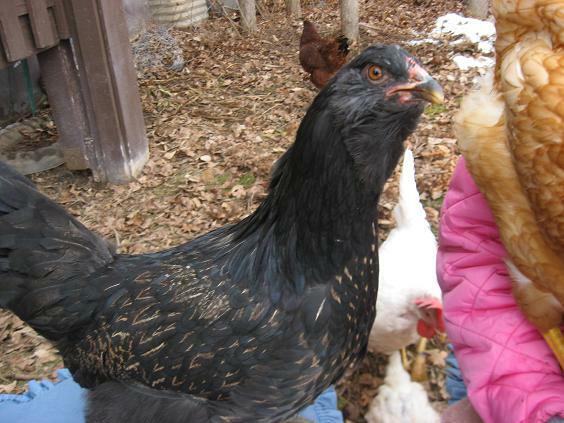 Easter Eggers of all ages like to follow humans around the coop or yard and readily respond to treats. The pageant of Easter Egger plumage encompasses every color of the rainbow. Non-standard is the standard. However, the EE has a few common traits. Most have full muffs, a pea comb, a spreading tail, a curved beak, and full hackles. Many have beards. 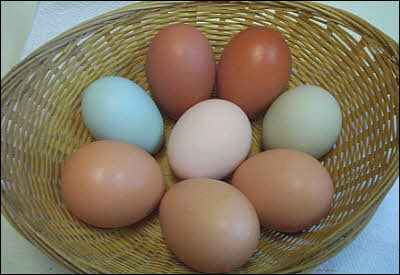 Easter Eggers come from the same genetic pool as the Americauna and the Araucana as evidenced by their blue eggs. In fact, the untrained eye often confuses the Americuana breed with Easter Egger chickens. Disreputable hatcheries use the similarities to pass off EE chicks on an unsuspecting public. 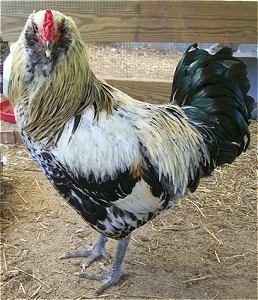 The Easter Egger lacking a tail or exhibiting ear tufts would better fit into the Araucana breed line. A single purpose fowl, people keep Easter Eggers primarily for the egg laying capabilities. Feed them a good layer feed with supplemental protein and calcium. Although hardy birds, provide your EE’s insulated, draft-free coops for maximum health. Every chicken enjoys a certain amount of foraging and exercise. Naturally curious birds, give Easter Eggers room to explore. Examine their muffs and beards for cuts or scrapes. Disinfect cuts. Cull any Easter Eggers with ear tufts. Ear tuft genes come from the Araucana and usually lead to high mortality rates among brood in the egg. Easter Eggers share a common heritage to Araucanas and Americaunas breeds. They all have the blue egg gene and trace their roots to Chile. The similarities end there. From this point on discussions dissolve into a classic “chicken and egg” debate. 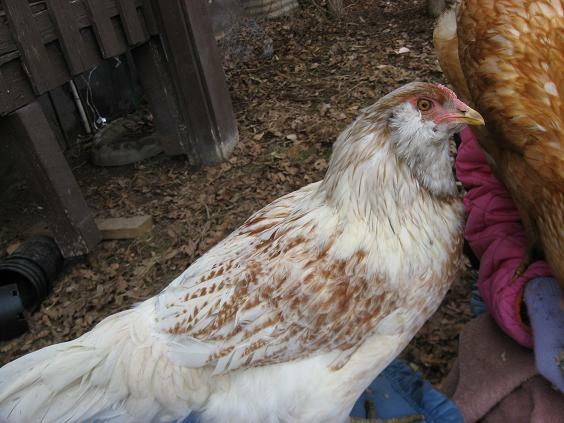 EE devotees believe that their common chicken served as the genetic foundation for the other two purebreds. Ameraucana and Araucana owners classify Easter Eggers as a mongrel crossbreed of their sanctioned breeds. Which came first?